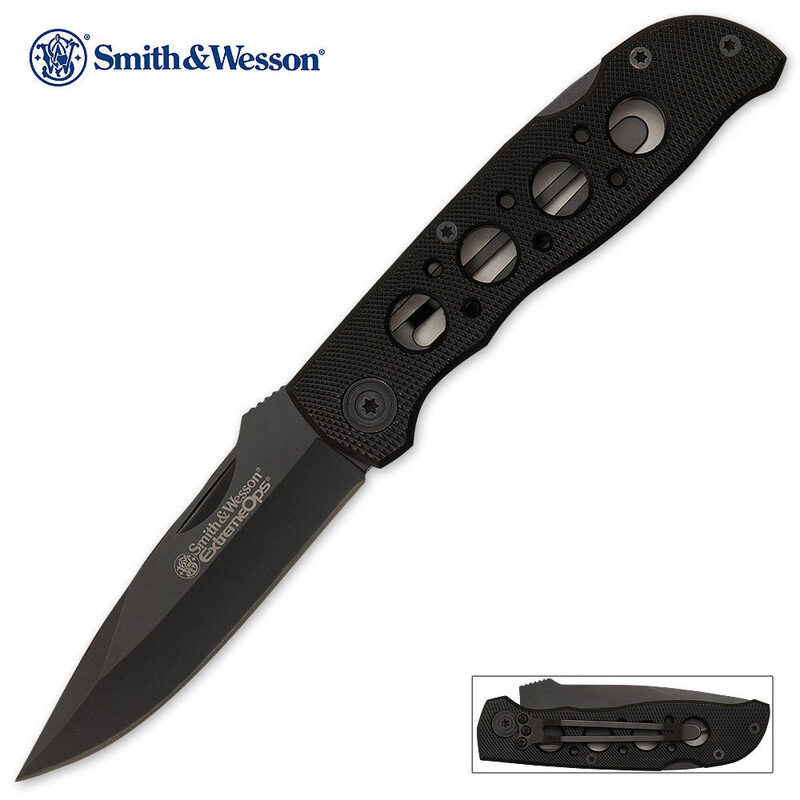 This Extreme Ops Lock back folding knife features a black coated stainless steel blade. The black textured aluminum handle features a pocket clip, a thumb knob and liner lock. 7 3/8 in. overall, 3 1/4 in. blade, 4 1/8 in. closed.